The Mylo app is the Canadian answer to other automated savings and investing apps such as Acorns and Digit in the U.S. and Moneybox in the U.K. While we can all agree that saving money for the future is generally a good thing, many of us never get around to doing it. Recent stats show that 32% of Canadians between ages 45-64 have nothing (i.e. $0) saved for retirement. This is indeed alarming! At 64 years of age, you should either be retired or be planning to do so soon. Simplifying the savings and investing process is what automated savings apps like Mylo aim to accomplish. There is no drastic change to your daily lifestyle, and you do not need to understand the nitty-gritty details of portfolio management. Simply set a savings goal and the app does the rest by moving small amounts of money (spare change) from your bank account into a diversified portfolio that continues to grow and increase your net worth. This is based on assessing several factors including Ease of Use, Account Minimum, Investment Options, Management Fees, Referral Program, Customer Support, and Overall Value. Mylo is Canada’s only spare-change automated investing app, allowing Canadians to grow their wealth through micro-investing and without over thinking it. Start growing your net worth today and get a $5 welcome bonus. 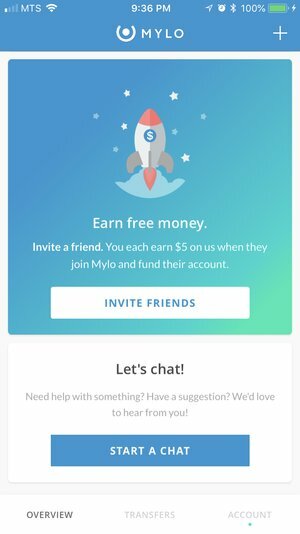 Sign Up With Mylo Here + $5 Welcome Bonus! Mylo App – How Does It Work? Mylo – What Are The Fees? Is The Mylo App Safe? Is Mylo Right For You? 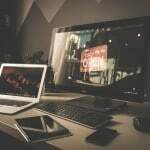 Mylo Financial Technologies Inc. is a Canadian fintech company that was launched in 2017 by Phil Barrar – you may have watched the Dragons’ Den episode when he came on the show with Dr. Liam Cheung! In June 2017, Mylo acquired investment firm, Tactex Asset Management and by January 2018, they had secured over $2 million in seed funding from Desjardins Capital, Robert Raich, and Ferst Capital Partners. The Mylo app is the first automated goal-based savings and investing app to give Canadians the opportunity to easily invest their loose change and grow their wealth. 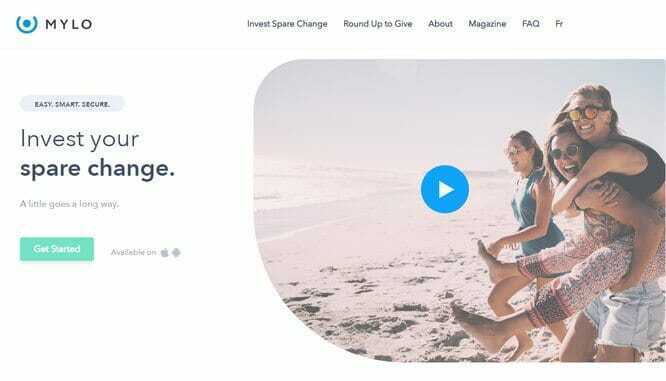 Recently, in partnership with CanadaHelps, they also launched “Round Up to Give,” an automated way to donate to your favourite charity using the Mylo app. 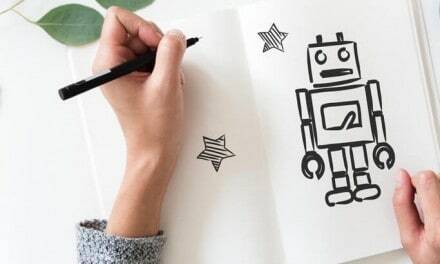 When you open a new Mylo account here (special link – promo code not required), you will get a FREE $5 cash bonus to boost your automatic savings/investing! When I first heard of Mylo, my reaction was: “Spare change? How does that work?” The idea behind meeting your financial goals through micro-investing is actually pretty smart. 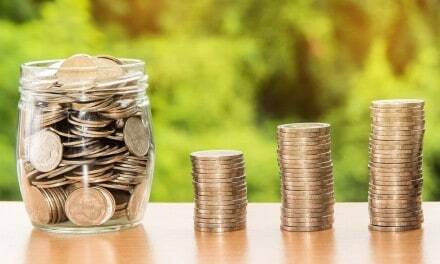 Can you remember how many times you have given up on a savings endeavour simply because you felt you could not afford to set aside enough funds? What automated savings apps like Mylo do is to help you save small amounts of money which means you do not need to deprive yourself or radically change your lifestyle. They simply round up your purchases to the nearest dollar and save the difference. For example, say you buy a cup of coffee at a cost of $3.25 using your credit card. The Mylo app rounds up your purchase to $4.00 and puts the extra 75 cents into your Mylo account. This goes on throughout the week. Every Monday, roundups from the previous week are withdrawn from your chequing account and invested into a Mylo investment account on your behalf. You can withdraw your funds at any time. Roundup Multiplier: You can setup your account to multiply your roundups by up to multiples of 10. For example, if you want a 5x multiple on the loose change you invest, a 75 cents savings becomes $3.75 (75 cents x 5). One-Time Investments: You can make lump-sum deposits to your account whenever you want to quickly reach your savings goals. 2. Create an account and answer a few questions to build your investor profile, and determine your financial goals and risk tolerance. 3. Link your bank account to the app. 4. That’s it! You are on your way to meeting your money goals. Whenever you refer friends to use the app, Mylo rewards both of you with $5. 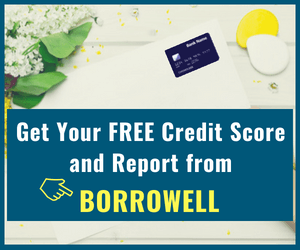 This means you can reach your financial goals even faster! The funds saved in your Mylo account is managed by a registered Canadian portfolio manager at Tactex Asset Management, a subsidiary of Mylo Financial Technologies Inc. The portfolio manager invests your money using a diversified portfolio of low-cost ETFs that is modelled after the Modern Portfolio Theory. Investment accounts opened through Mylo are non-registered at this time. There are plans to also allow registered plans like TFSAs and RRSPs in the future. I am always interested in what I pay for investment fees, and the impact on my long term returns. You should know that while some level of fees is inevitable, they always cut into your overall investment returns. Annual Mylo management fee = 12/2,400 = 0.50% of your assets. This is awesome and much lower than comparable mutual funds which can easily charge you as much as 2.35% in MER for equity funds! What the examples above show is that Mylo is great on fees if you plan to use it smartly. The more you save/invest, the less you pay in fees, because their fees are flat! In addition to the $1 per month charged by Mylo, your investments will generally pay management fees (MER) to the individual ETFs in your portfolio. This is normal and occurs with Robo-Advisors as well. MERs charged by the low-cost ETFs that Mylo utilizes are in the 0.05% to 0.37% range. Mylo Advantage is the latest premium offering from Mylo that gives users to access to the standard features (roundups and savings multipliers) plus the ability to save and invest using tax-free registered accounts like the TFSA and RRSP. Mylo Advantage is the premium version of Mylo and comes with a $3 per month flat fee. 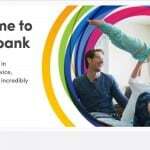 As per the company, they employ the same security and encryption measures that your bank uses. They also indicate that your data is never for sale. In addition, your funds are insured by the Canadian Investor Protection Fund (CIPF) which means that if they go bankrupt, your investments are protected up to $1 million. The Mylo App is great for those who want to invest effortlessly without having to think or stress about it. Anyone can benefit from using the app as part of their savings/investing strategy. For example, you can have your registered investment portfolios (e.g. RRSP and TFSA) and employ index funds, ETFs or mutual funds in those accounts. At the same time, you can use Mylo to set up a savings/investing account for your emergency funds, travel or vacation fund, home down payment, Christmas gifts fund, and more. The Mylo app is especially great for you if you find it difficult to put down significant sums of money at once to invest or save. The app is easy to use as there are no minimum amounts you can invest, and by taking your spare change, you can reach your financial goals without feeling the pinch in your pockets. Investment knowledge is not required on your part given that your portfolio manager does all the asset allocation and re-balancing for you. One shortcoming to investing with Mylo is that you cannot invest within registered accounts (TFSA, RRSP, RESP, and RRIF). 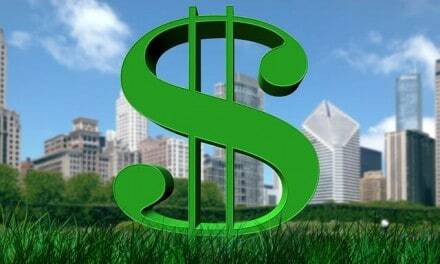 These accounts are particularly advantageous because of the tax shelter they provide to your returns. Also, for those who plan to save very small amounts per month (like the $20 per month example I used above) or infrequently, the $1 per month fee is comparatively steep. However, many still find Mylo useful even with this cost, especially when the automated savings process is the only way they are able to save anything at all! 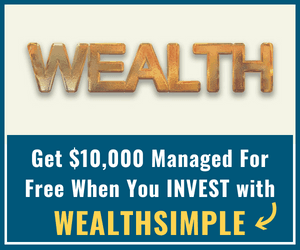 If you are looking for other opportunities to invest using automation and low-cost ETFs inside a registered account, Robo-Advisors like Wealthsimple are worth checking out. You can read and compare all the major robo-advisors by reading my Complete Guide To Robo-Advisors in Canada here. 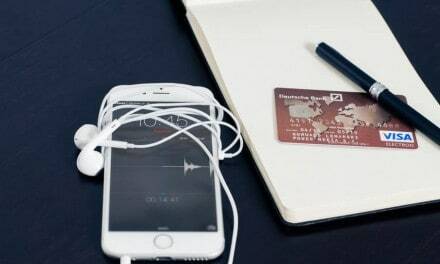 For those who are based in the United States, I have listed 10 of the best automatic savings apps you can use here. When you open a new account here (special link – promo code not required), you will get a FREE $5 cash bonus to boost your automatic savings/investing! Join Mylo and Start Saving Today! What is the cost to take your money out? @Rob: There is no fee for withdrawing your funds. If you need money out of the account how do you get it??? Hi Andrea: see my answer to Rob above. In addition, there are no charges when you make a withdrawal. Cheers! @Andrea: To withdraw funds, send a withdrawal request to the Portfolio Manager through the Mylo App. There is no fee for withdrawing your money. Can two people (husband and wife) share the same account? @Matt: No, there is currently no joint account option. Can one discontinue Mylo account anytime? Any fee for that and other useful info upon cancellation? @MC: Yes you can withdraw your funds at any time by simply emailing them through the app. There is no fee.